Annie Oswald’s Cottage is part of the Bamburgh First collection of luxury self catering properties situated at Adderstone. 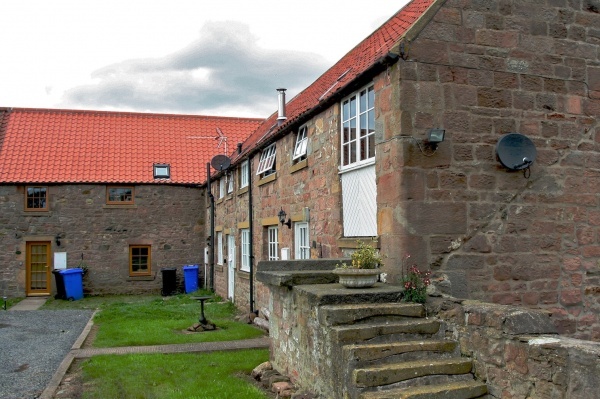 Nestled within a stunning, rural location in the heart of Northumberland, it is ideally positioned to experience and enjoy all that the Northumbrian countryside has to offer. The historic village of Bamburgh is only four miles away and, with an adundance of activites on offer, is a perfect day out for the whole family. As an ‘Area of Outstanding Natural Beauty’, there is plenty to do and see, including the Castle, Grace Darling Museum and miles of unspoiled beaches to exlore. A good selection of shops and restaurants are on offer with something to suit every taste. Annie Oswald’s Cottage is a fabulous living space designed over two floors of a beautifully converted stone farm building, which has had the benefit of recent refurbishment. Guests can enjoy use of an outdoor patio area with garden furniture and barbeque. A fantastic open plan lounge, kitchen and dining area, incorporating all modern conveniences, is offered in this tastefully decorated dwelling. Natural light floods the ground floor through a selection of windows giving a lovely bright, airy feel to the space. Real wood flooring, hand-picked furnishings and meticulous attention to detail adds to the impression of opulence. The deluxe kitchen has been professionally designed to offer maximum convenience and top-of-the-range technology. Plenty of cupboard space, generous work surfaces and a full complement of modern appliances are on-hand. This includes a cooker and hob, microwave, toaster, dishwasher, washing machine and tumble dryer. The large American-style fridge/freezer and beautiful ‘Belfast’ sink are both practical and stylish in this creatively designed kitchen. The large dining table and chairs are appropriately placed in the adjoing space between the kitchen and lounge area. The lounge is comfortably arranged, beautifully furnished and well equipped with a flat screen TV – with full Sky digital package - DVD player, CD player, free WIFI connection, and ipod docking station. A cosy wood-burning stove adds to the relaxing atmosphere of this delightful rural self catering cottage. The master bedroom is a stunning example of the high standard of quality Bamburgh First devote to all properties in their collection. 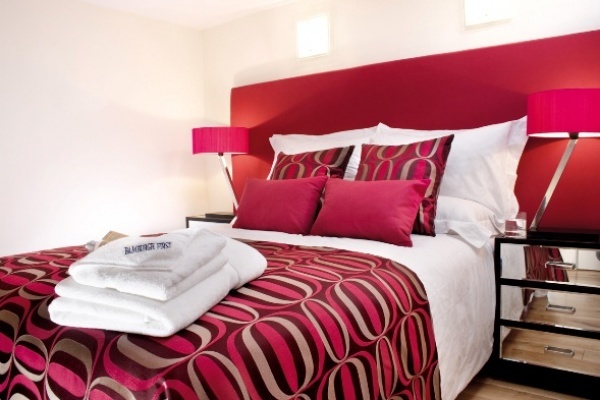 The room is bright and spacious with a luxury king sized bed, bedside units with reading lamps, flat screen TV and storage facilities. The contemporary style of the cottage flows further through to the bright twin room, which is furnished with bedside units, reading lamps and storage facilities. The shower room, designed to exacting standards, is clad in travertine tiling and offers a deluxe walk-in power shower.